In an industry that hasn’t been traditionally environmentally friendly, Nimlok has always tried to break the mould. Our business model ensures that stands are reusable, and waste is kept to a minimum. We also use solvent free printing and heat the Nimlok building with our wood waste using a Biomass Boiler. But that’s not enough for us. In January 2019 we began a carbon offsetting scheme enabling us to be carbon neutral. 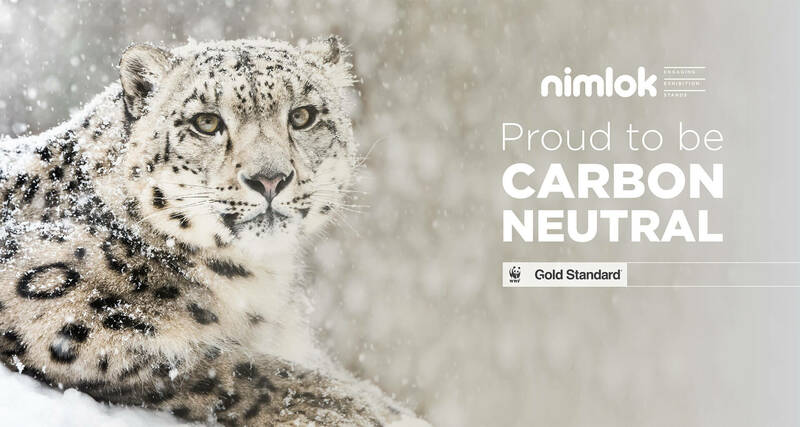 Working with WWF and Gold Standard, Nimlok are sponsoring accredited schemes with a dual mandate of reducing carbon emissions whilst fostering sustainable development. It’s not just about planting trees. Our two chosen projects: the Darfur Low-Smoke stoves and Safe Water Access in Rwanda, also tackle poverty, gender equality and provide affordable clean energy. The project provides families in North Darfur with microfinance for energy efficient and clean burning LPG stoves to replace their traditional wood or charcoal ones. These help to reduce the level of indoor smoke and air pollution for the families. Substantial reduction in greenhouse gasses, as each stove avoids 4 tonnes of CO2 per year. 93% of women have more time to work which generates additional income for their families. Slowing the rate of deforestation by replacing biomass with LPG. Empowering women and reducing gender inequality by training women entrepreneurs to deliver the stoves through microfinance schemes. Alleviating poverty by enabling energy savings. This project ensures that a safe and reliable supply of water is available in Rwanda by identifying and rehabilitating broken-down boreholes alongside water sanitation and hygiene training. Less time and effort spent collecting wood to boil and sanitise water. Reduced incidence of waterborne diseases. Reduced expenditure on wood fuel, leaving money free for other household expenses. Reduced pressed on local wildlife and ecosystems due to reduced deforestations. We’re able to do this due to the modular nature of our exhibition stands. Like the biggest construction kit you’ve ever seen, the majority of our components can be reused and reconfigured. This is not only positive for the environment but is beneficial for our clients. It means we can reconfigure their existing exhibition stand to accommodate different floor spaces, configurations and ceiling heights, or to any new branding requirements. Exhibition stands can be scaled down for smaller events or built up for larger requirements using additional hire options.